Are You Thankful for Bad Things? 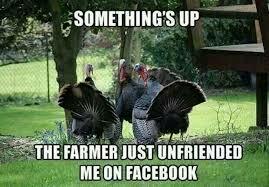 Have you ever done the “What are you thankful for?” thing at Thanksgiving and had trouble thinking of something? It is easy to be thankful when it is easy to see good things. When life looks good, being thankful is the natural response. But what do you do when things aren’t so great? What if you look at life and you see little if anything to be thankful for? When life is tough, how do you respond? You may consider it best to just own up and admit that life isn’t what you would like for it to be and hope for a better year next year. That may be a good start, but it misses the point and purpose of Thanksgiving (Eph. 5:20). This has not been a year that is exactly overflowing with “blessings” for me. Funding for NLS has not developed in spite of a lot of hard work, so we continue to struggle to find time and energy for the work. Our personal finances are extremely tight, so now I am back in a job hunt at almost 61 years old. Things around the house seem to be breaking down faster than I can fix them and since last Thanksgiving, I have been diagnosed with four medical issues, each requiring significant interventions and expenses. My house is now in a major construction zone that will become a school zone that I will have to deal with every time I leave or return to my home and that may lower my property value. I have even been told that our dog is going to be dying soon. Yep. At first look, this has not been “a good year”. In fact, it has been tough in many ways. And I haven’t been very thankful about it. In case you are in a similar situation, I hope you can discover what God has been teaching me! You see, the real reason for Thanksgiving Holiday is in spite of the circumstances!! It is being thankful that although things have been tough and may stay that way, it is about refocusing and realizing that you are not alone in the mess! It is choosing to realize that you are a broken person living with other broken people in a broken world, but remembering that the “Good News” of Jesus is that God is still working here and is at work in, on, and through you! The first two Thanksgivings were not in Massachusetts and were not about celebrating a harvest with friends. In 1610, they had a time of thanksgiving after “The Starving Time” in Jamestown and the second was in 1619 at Berkeley (now Berkeley Plantation) to express thanksgiving for surviving a long and rough journey to their new home. Things had been really long and rough times (far worse than you or I will ever face). The situation was still scary because they didn’t know what would happen to them next. They were wise enough to realize that God had taken them through those things. (Do you hear the words “Through many dangers, toils, and snares I have already come! It was grace that brought me safe thus far, and grace will lead me home.” ?) You only get it if you’ve been there. Having trouble being thankful? Remember that God is always working, even if it isn’t the way you would like and is probably much more long term than you realize (Rom. 8:28-29). You are not the only one facing your “giants” (I Cor. 10:13). Maybe He wants you to ask for His wisdom (James 1:15) or to simply return to depending on Him (Ps. 34:17). I don’t know why things are happening, but He does. Take this season to be thankful and ask Him!